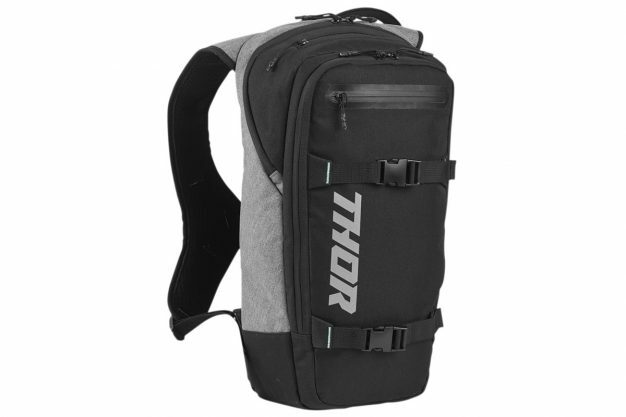 Thor MX Australia has released its 2019 bag and luggage collection, including the Reservoir hydration pack suitable for hitting the trails and packing away the essentials. Boasting a three-litre bladder, the Reservoir is perfect maintaining hydration while riding all year long, particularly as we head into the summer months. Constructed from 1200D Ballistic polyester and 600D reversed faced poly shell, the bag can handle the elements, and has enough storage to take the must-haves while riding. – 1200D Ballistic polyester and 600D reversed faced poly shell. – Micro fleece lined glasses/media pocket. – Reverse face YKK water-resistant zip on front. – Straps on the front to cinch down additional luggage. – Large main compartment and a secondary compartment with internal mesh pockets for organisation. – Neoprene hydration tube sleeve helps keep fluid cool. – Harness made with air mesh for ventilation. – Pack harness is angled away from the underarms giving total freedom of movement. 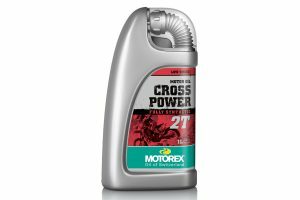 – Three-litre BPA-free bladder with an easy clean, big bore top. 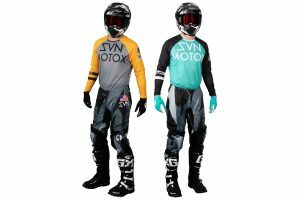 – Sternum strap and buckle keep gear secure. – Magnetic bite valve holder. Priced at RRP $149.95, the Thor MX Reservoir hydration pack is now available at participating dealerships and online retailers. For more information, visit www.gasimports.com.au.